From sharp lines to photo-quality images-HP 90 printing supplies get the job done right. Patented dye-based color and pigment-based black HP inks produce accurate lines and images. And HP Smart technology ensures optimum print quality and reliability and provides automatic alerts when a cartridge is low or out. 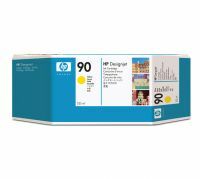 With the new HP 90 Black Ink Cartridge for high-volume printing, HP now offers two sizes of each color. Fewer interruptions save time and increase productivity for an excellent value. 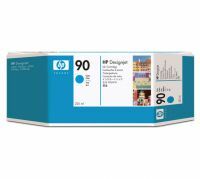 C5062A From sharp lines to photo-quality images-HP 90 printing supplies get the job done right. Patented dye-based color and pigment-based black HP inks produce accurate lines and images. And HP Smart technology ensures optimum print quality and reliability and provides automatic alerts when a cartridge is low or out. With the new HP 90 Black Ink Cartridge for high-volume printing, HP now offers two sizes of each color. Fewer interruptions save time and increase productivity for an excellent value. To Recieve updates and possible rewards for Hewlett Packard (HP) HP 90 225-ml Magenta Ink Cartridge please sign in. To Recieve updates and possible rewards for Printer Cartridge, Ink & Toner please sign in.